Mobile application is gaining popularity with each passing day. The proliferation of high end mobile devices combined with the high power of mobile computing, as well as increasing speed and bandwidth has empowered mobility. It has truly redefined our lives. In 2014, a survey had predicted “Mobile Internet will overtake fixed Internet access.” The latest data shows that we have crossed the tipping point; mobile digital media time in the US is now significantly higher at 51% compared to the desktop media time which is 42%. This clearly shows that if you are not able to reach the audience on their mobile devices, you are failing to provide a satisfactory mobile experience and lagging behind your competitors. It’s no longer a case of wondering whether mobile application is important. We know for sure it is! After all, we have statistics supporting this fact. It now boils down to effective use of the statistics to understand how consumers behave with different types of mobile devices and analyze their preferences. So taking consideration of Mobile Application Development Methodology between Native Application Development and Xamarin Cross Platform Development, below are the advantages of Xamarin over Native Application Development. One of the major upsides of using Xamarin is the ability to use C# as your development language on all platforms. While both Objective-C and Java are great languages, C# has evolved considerably over the years. It allows for incredibly rapid development and iteration with strong type safety. Newer patterns in C#, including generics, LINQ, implicit typing, extension methods, async methods, and closures make what would be incredibly long boilerplate code in other languages completely unnecessary, which helps create cleaner, more readable and more reliable code. While we have had some portability issues, sharing code between Android and iOS is fairly clean and simple, thanks in part to constraints imposed on us by MVVM Cross. Models, view models, networking and parsing logic (including error handling), and navigation logic are often shared between both the versions of the app. This means there is no difference in functionality between the two versions, thus simplifying bug fixing. This ensures similar operational ease across both the platforms. Of all bugs reported in Xamarin apps, a very small number is usually platform-specific. This means it is easy to fix bugs for the two different platforms. .NET has some great libraries (including HTTP Client), and with the increased support of PCLS and Microsoft’s recent re-licensing of some of its libraries, using these libraries makes doing certain complex tasks on the platform incredibly easy. 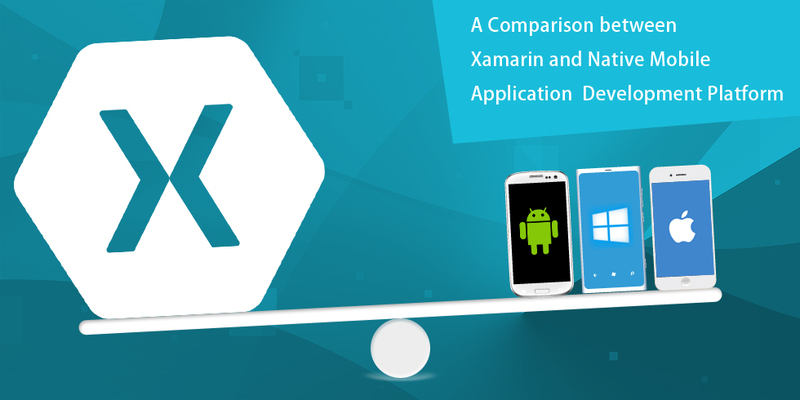 Xamarin eliminates the need to manage platform-specific development teams. Single team can leverage advantages of Xamarin Studio or Xamarin libraries with Visual Studio. You can use Xamarin to leverage your existing mobile app code base too. Apps written in Java or Objective-C are easily transitioned to C# where they can gain market traction. Xamarin apps have access to comprehensive range of functionality exposed by the underlying platform and device, including platform-centric capabilities like iBeacons and Android Fragments. Xamarin apps capitalize platform-specific hardware acceleration, and are compiled for native performance. This can’t be achieved with solutions that interpret code at runtime. Xamarin’s bindings on any given platform mirror the native calls so closely that if you know the API, you can easily find its equivalent Xamarin, with very few exceptions. Xamarin’s conversion is only making certain native calls conform to C# conventions and features (like properties, events and delegates). This not only makes transitioning easier for developers that are used to native development, but also means that you can refer to native documentation to learn how something works, and then easily transition it into C#. Bindings using MVVM Cross can make a lot of boilerplate code to make the binding properties to visual components just disappear. This is especially true for Android views, where bindings can be added directly to the XML layout files. Portable Class libraries or PCL makes it very easy for developers to share the same code base across different projects. The developers have to write the code and libraries once and it can be shared across Xamarin iOS, Xamarin Android and Windows Phone. You can use popular Portable Class Libraries (PCLs) like SQLite, Json.NET, or ReactiveUI on every platform. Build your own app logic as a PCL and use it everywhere. Xamarin Component Store allows adding high-quality components to your app directly from your IDE, including controls, web service APIs and more. You can integrate popular backends such as Microsoft Azure, Parse, Salesforce, and SAP, as well as add powerful security features such as authentication and encryption. This and a lot more crowns Xamarin as the new king of cross-platform development. The rich features and the resulting benefits of Xamarin all point towards flawless development of cross-platform native applications. In addition to the above-mentioned reasons, Xamarin boasts an ever-growing community of 700,000 plus developers who are continuously collaborating and enhancing the software. Silver Touch Technologies is Partner with Xamarin. Connect with us today for Xamarin mobile app development.